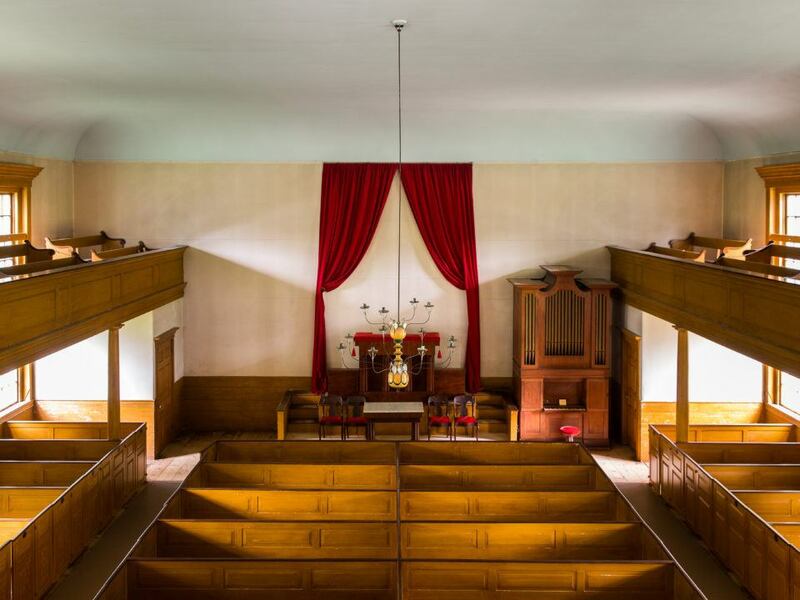 With its steeple pointing skyward, the meetinghouse was the dominant symbol of every New England town—the gathering place for town meetings, elections, and church services. Churchgoers attended lengthy Sunday morning and afternoon services as well as midweek prayer meetings. Many 19th-century New England towns had several different meetinghouses, reflecting the region’s increase in religious diversity after the Revolutionary War. The two largest denominations in most rural towns were Congregationalists and Baptists, both descended from the Puritan Church of the first English settlers. In many rural towns, Methodists, Universalists, Episcopalians, and Friends also had their own houses of worship. The Center Meetinghouse was built as the Baptist Meetinghouse in Sturbridge in 1832. 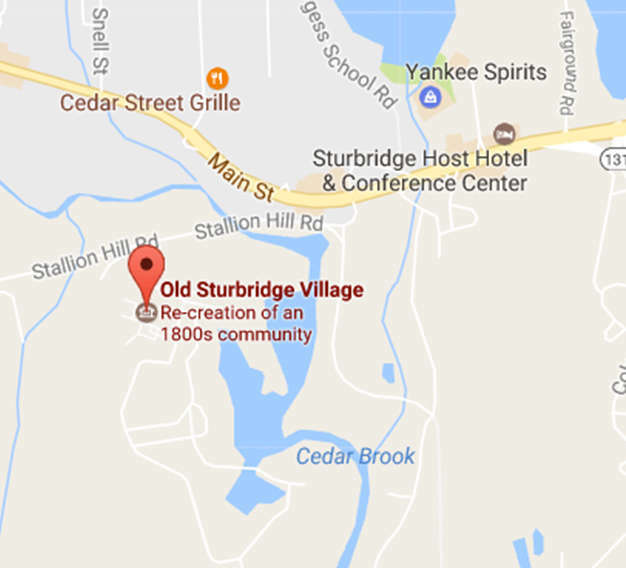 When Old Sturbridge Village acquired it in 1947, its original interior was extensively modified to resemble a pre-1800s meetinghouse with paneled “slip” pews. The rest of the meetinghouse has been restored to its 1830s appearance.